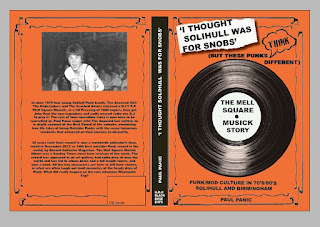 In a way the original "Mell square Musick" ep, was thee perfect DIY record......so imagine if it was a double album full of the same raw incompetence? Well now it is,but shockingly, on some of the tracks The Accused seem to have employed a proper drummer?! Like when Budgie replaced Palmolive in the Slits....not good! That aside, there's plenty of rough as old arseholes DIY punk rock. 1-7 –The Accused - W.M.P.T.E. DOWNLOAD this expanded incompétence HERE! great stuff and solid release. I bought the CD immediately when it cames out, I especially like the tracks of O21 and the Undertakers. an 021 album coming up.